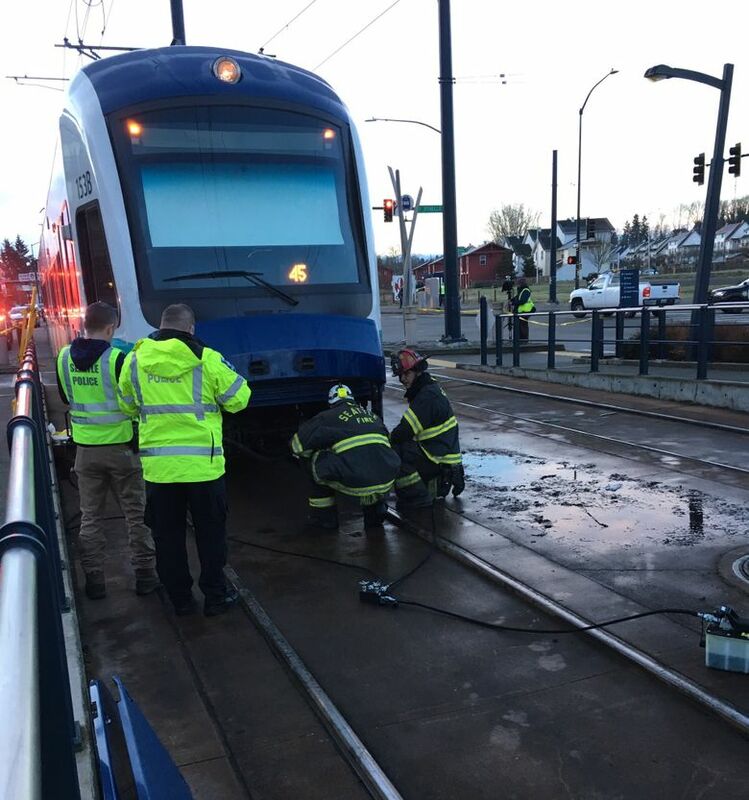 Light-rail service between Columbia City and Rainier Beach resumed around 9:40 a.m. after being halted for about 3 hours. 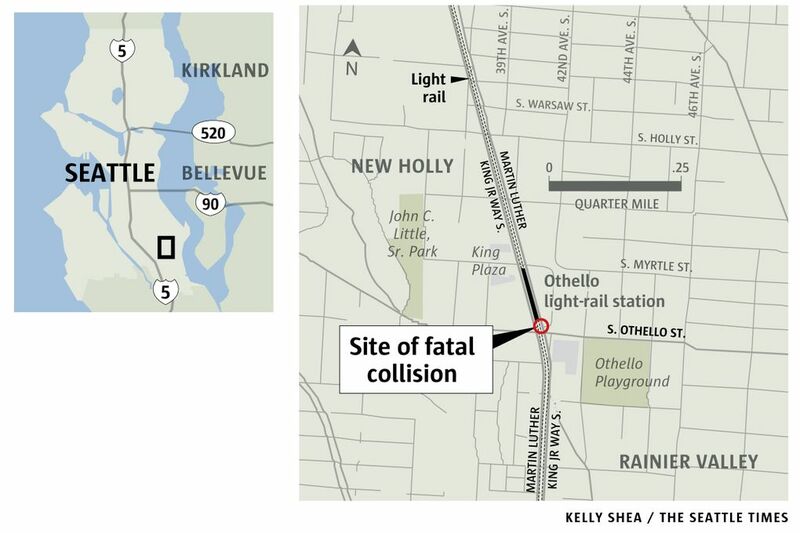 A man was struck and killed Monday morning by a Link light-rail train near Othello station in Rainier Valley, police said. Light-rail service was restored about 9:40 a.m. between Columbia City and Rainier Beach after service was halted for much of the morning commute. The man was crossing Martin Luther King Jr. Way from west to east in one of the station’s crosswalks, against the signal light, about 6:40 a.m. when he was struck by the northbound train, Seattle Police detective Mark Jamieson said in a news release. The victim’s age and identity were not immediately available. Seattle police are investigating. Stranded passengers were being shuttled around the crash site before service restarted. There have been about 51 Link-involved crashes in the Sodo and Rainier Valley surface trackways since service began in mid-2009. Eight people have died including at least two suicides.